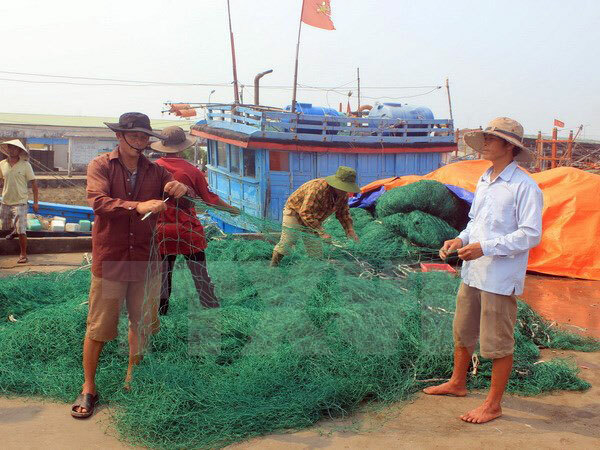 The Government’s support for residents effected by the mass fish deaths in the four central provinces has been delivered in a timely manner and to the right people, the Vietnam Fatherland Front (VFF) Central Committee said. The VFF Central Committee noted four supervisory teams were sent to the impacted central provinces of Ha Tinh, Quang Binh, Quang Tri and Thua Thien-Hue to monitor the settlement of the incident’s consequences from June 23 – 29. The teams reported that 40,043 families there were given more than 4,309 tonnes of rice, while 8,111 ship owners whose marine activities were suspended received 53 billion VND (2.38 million USD) in aid. Over 9.8 billion VND (439,400 USD) was also provided to help affected fish breeding farms. Aside from the Government’s assistance, some provinces also offered their own support. However, the handling of environmental consequences is still slow, inspectors noted. People nationwide and abroad also supported Vietnam with over 45 billion VND (over 2 million USD) and 149 tonnes of rice through the VFF and its member organisations. All the rice aid and some 42 billion VND have already been delivered to the targeted residents. The supervisory teams pointed out problems that have arisen while implementing the support policies and have asked the Government for more assistance for fishing and fish farming activities.